Buying a set of sheets should be simple, right? But then you walk into a linen store and you’re bombarded with options. Walls and walls of sheets that all look pretty similar but may in fact have some major differences. From fiber to weave to thread count, this linens buying guide will help you make the choice that’s right for you. 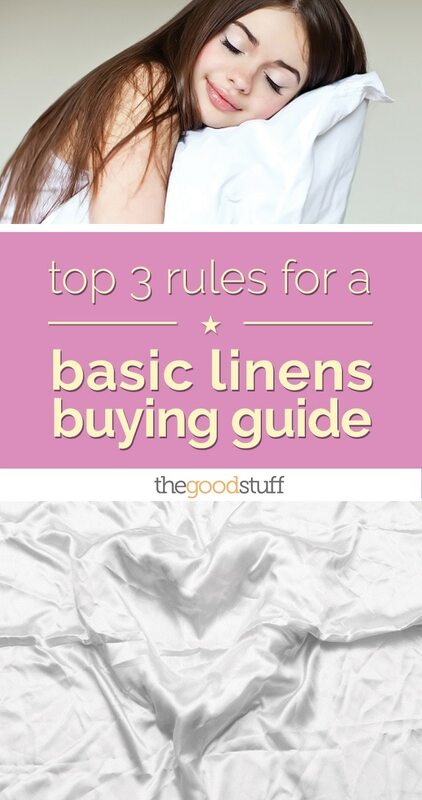 While this is aimed at sheet shopping, you’ll see these terms on linens of all kind. Upland Cotton: If a sheet says simply “100% Cotton,” it’s probably Upland. 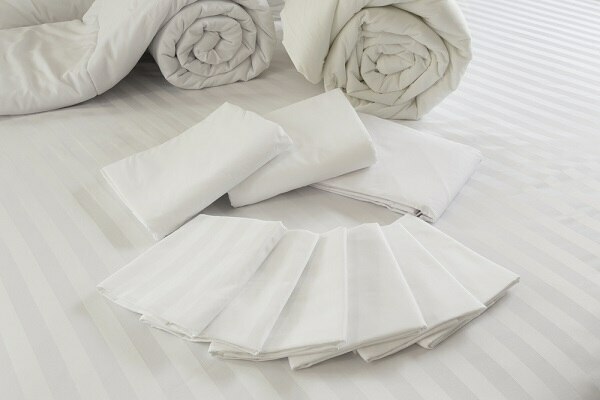 This is the most common sheet type and is soft, durable, breathable and affordable. Pima Cotton: Pima is a long-staple cotton and therefore creates a typically softer sheet. “Supima” is Pima cotton. The term is simply a trademarked name to indicate the product is composed of 100% American Pima cotton. 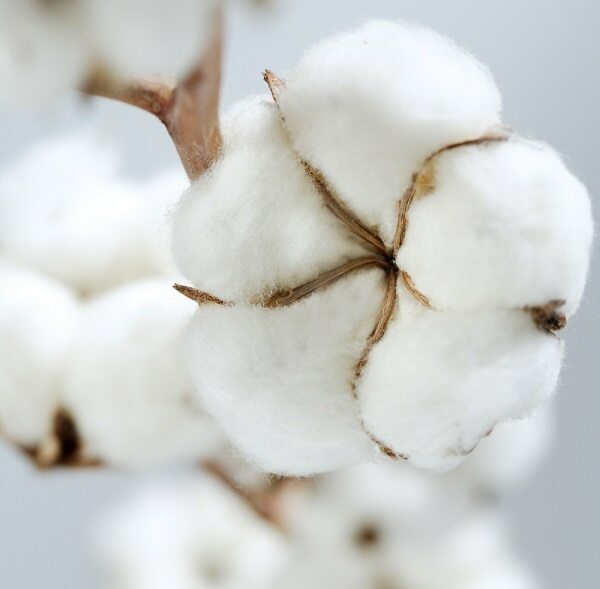 Egyptian Cotton: Many consider this to be the highest quality of cotton. Its extra long staples give it a luxurious feel. 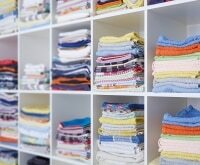 Synthetic: Synthetic sheets such as polyester blends are some of the lowest costs sheets you’ll find. However, they aren’t as breathable as cotton, so you may wake up feeling clammy. Standard or Plain Weave: This is a basic basket weave with equal number vertical and horizontal yarns and is typically the most inexpensive weave. Percale: These tightly woven sheets are an elevated version of the plain weave and result in a crisp, smooth-textured sheet. Sateen: Made to feel like satin, these incredibly smooth sheets get their luster by having more fibers on the surface of the fabric (four threads over, one under as opposed to a basket weave which is one over, one under). Number of Threads. This is a measurement of threads per square inch. Three hundred thread count sheets could have 150 vertical and 150 horizontal threads in each square inch. Typically, a higher thread count means a more expensive sheet, but most sleepers (and their budgets) are satisfied with 300 thread count. Two-Ply/Multi-Ply: Sometimes multi-ply yarns are used to achieve a higher thread count. For example, 900 thread count sheets might have that same 150×150 threads as the 300, but each thread is 3 pieces of yarn wrapped together. However, two- and multi-ply yarn can add weight to your sheet. So if you prefer a heavier feel, this could be the sheet for you.